That's the theme this week at Die Cuttin' Divas. 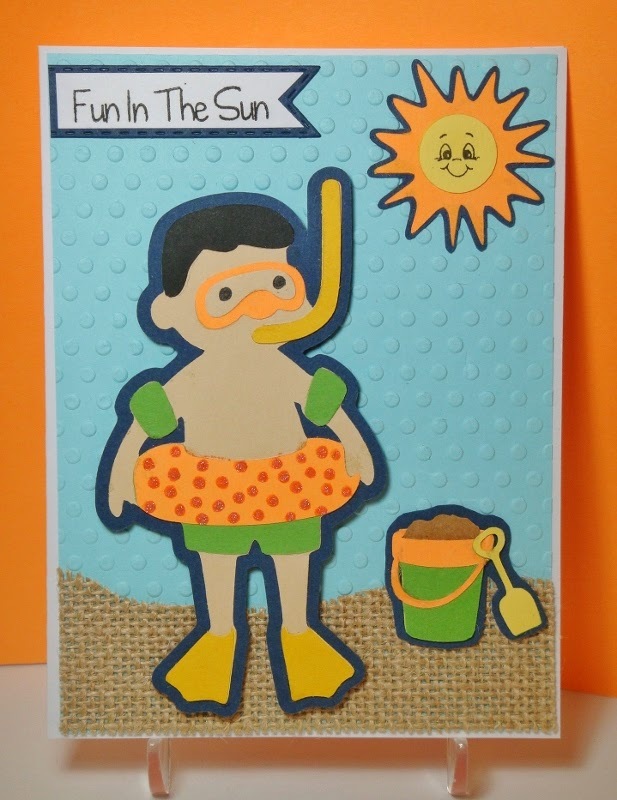 Include something related to the beach in your card, layout, or project. To enter the challenge this week, create a card, layout or altered project with a beach inspired theme. 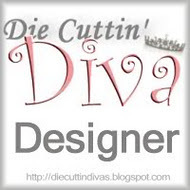 Be sure to use a die cut in your creation and link your post back to the Die Cuttin' Divas blog. Super cute card!! Have a great day. Love that you used the CDD summer lovin stamp! What a FUN card:) Love the swimmer dude! Hope your having a wonderful summer! Love your sand. so fun. Adorable card, love the embossed background and the burlap for the sand! Thanks for joining our linky party over at Craftin Dessert Diva's!